The million dollar question then is this: “How can I have a patient WANT what you do?” Having people want what you do is the key to your perfect practice. What could it be? I’ve found that providing pain relief, even the so-called ‘corrective care’ that so many doctors talk about and try to sell their patients on, is dubious at best. Patients don’t really understand it, most often because the doctor doesn’t really understand it either, and they are not willing to follow through. So…give them something concrete. What can you think of? They want their uncle free from his kidney failure. They want their dad free from his Crohn’s Disease. They want their mom to no longer have Colitis. Their son free from his Asthma, their daughter no longer a slave to her Infertility issues, and their little nephew to no longer have his epilepsy, or colic, or RSV, or a million other problems ordinary people have. THAT’S what people want. Can you help? 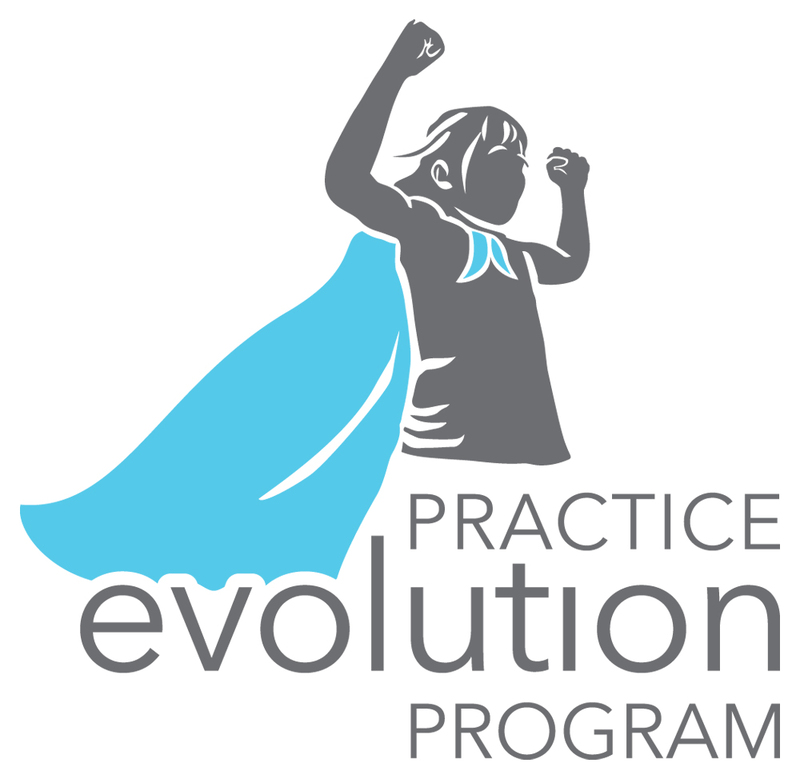 This is one of the many issues we handle on the Practice EvolutionProgram. Would you like to be That Kind of Doctor? takes place in the first five minutes of your consultation. Contrary to what many doctors are told, it DOES NOT take place at the report of findings. THAT is only a summary. Your consultation with a new patient needs to be absolutely phenomenal. As well, it must also be done with great empathy, understanding and with absolutely no sales pitches, fear tactics, or neediness of any kind. Take a good look at what you do: Does your consultation move people? Do they have tears in their eyes from their connection with you? Do you? If you answered “NO,” would you like to learn how to do it brilliantly? If you’ve looked into your heart and feel that whatever you do falls a little short of what I’ve described, it may be time to step up to the plate. It may be time to for you to learn how to acquire a new skill-set. Your new patient examination should be of the same caliber; Excellent. Your exam needs to marry the consultation and be totally meaningful to your patient. At the same time, it should teach your patient how their body should normally work. It should also demonstrate how their body is just not working as it should. The bottom line is that your new patient should leave your office on their first visit totally overwhelmed and thrilled that they found you. You need to blow them away. Are you doing that? Your first visit should exceed their expectations by miles. Your fees then become a secondary consideration. Who cares what you charge? Your fees pale in comparison to the experience your patient just had with you. Does that happen in your office? Are people totally spizzed at finding you? Your Report of Finding must be simple and yet powerful. It’s a simple summary of what you found and what you feel should be done. It’s honest and people can readily read your honesty and integrity in your eyes. It must not be a desperate sales pitch to have a patient sign up with you. You are not on your knees with theatrical tears in your eyes pleading with and begging your patient. Absolutely NOT! As well, you also do not use any scare tactics to coerce a patients to stay with you – the “yet” disease comes to mind: “Have you noticed that…yet?” Gives me worms! Nothing is a bigger turn-off for people. That type of approach makes you look needy and desperate. This then places you at the mercy of your patients. You need to understand that whenever you are in front of a patient, you are ON STAGE. I’ve talked about this before. In other words, you are doing the performance of your life and lives are on the line. If your performance is miles above the expectations of your patient, your practice will simply explode. And that can happen very quickly. If, on the other hand, it’s not, you will be labeled as mediocre and average by your community. And unfortunately, there are lots of chiropractors who need help in this area. Here is where the plot gets thicker: No one wants to bring their children to a doctor who is mediocre or just plain average. Or just Ok. Or just pretty good. No one. You might as well kiss the Practice of your Dreams goodbye. And who wants THAT? The answer is to learn how to become amazing and incredible – as a doctor. NOT as some marketing guru. And lastly, you need to be able to exceed the expectations of your community by miles. BY MILES! Did you get that? I suggest you get together with your staff and write down all the ways your office exceeds those expectations. Then, make a list of what needs to change. Don’t forget to include yourself on that list. As well, don’t forget to include calling me. If the last few success tips made you think, I am smiling; I’ve set out to do exactly THAT! Your practice success is based on how your community sees you. My aim is for everyone to see you as absolutely without equal. The best. Incomparable. Amazing. Incredible. Now, get out there and do it! And…if you’d like to have a little help in that department or would like to ask a question, please complete our Practice Health Mini Check Up and it would be my pleasure to chat with you!